We are deeply attached to our materialistic possessions because we have to work really hard to earn what we have today. Therefore, the love of materialistic possessions such as money and property is the strongest within our hearts. When a Muslim gives 2.5% of his hard earned wealth as Zakat, he needs to overcome his greed and the habit of holding back in the first place, which requires deep faith and obedience towards Allah the Almighty. Zakat helps the poor to get materially stable which, in turn, brings stability and prosperity in our society. When every rich will start giving Zakat properly we can wipe out the impurities and narrowness from our society. The Divine command is clear evidence that every rich and wealthy citizen in the country is bound to pay Zakat. If they do not pay it on their will then the Islamic government can interfere and take ‘the alms” from the people. The Almighty has promised to multiply the giver’s wealth every time he pays Zakat, from the heart and with pure intentions. So one should not cling to his wealth foolishly and lose the benefits which he could have easily gained just by sharing a small portion of his wealth with the poor. “Transparent Hands” is a trust organization and the online Crowdfunding platform in health sector of Pakistan, which is striving to provide the best surgical treatment to thousands of underprivileged patients. 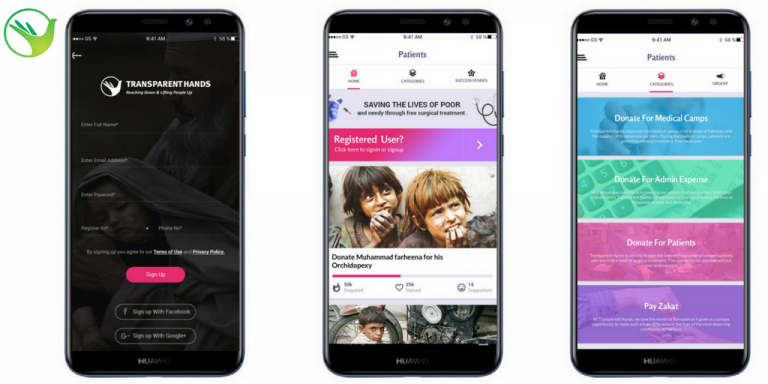 Transparent Hands uses its web portal, to connect billions of donors around the world to help in funding the surgeries of poor patients. It also ensures to provide transparent funding system to the donors. Donors are ensured that each penny they donate, will be spent on the needy patient’s surgery, and this is done through the hospital bills which are uploaded on Transparent Hand’s web portal. “National Zakat Foundation” is a Canadian zakat foundation. To be the Premier zakat institution, establishing a selfless and self sufficient canadian muslim community, where no individual in need is left abandoned. People have forgotten about the pillar of Zakat and its virtues in this world and the hereafter. Like Salah, Zakat is also an important pillar which purifies wealth and helps facilitate social cohesion. Zakat administered properly can bring about massive change. Imagine how powerful Zakat can be if all Zakat due is paid accurately. Zakat is an extremely powerful social tool that can empower our communities across Canada. The Zakat Payer is just as important as the Zakat Recipient. We aim to deliver easily accessible knowledge about Zakat and its core principles. Through our Zakat guides and online calculators, our free Zakat query service is designed to help Muslims calculate their Zakat in a user friendly and timely manner. We facilitate safe and secure Zakat payments through our website, bank transfers and mail, guaranteeing that 100% of our Zakat collection will be spent according to Authentic Islamic Teachings. “Islamic Relief Canada” works with communities to strengthen their resilience to disasters, and we provide vital emergency aid when disasters occur. We help the poor to access basic services, including education, water and sanitation, as well as healthcare. Our integrated approach to progress is transforming communities worldwide. We tackle the root causes of poverty, and make sure that the world’s most vulnerable people have real influence in both our programs and advocacy. And whoever saves a life, it would be as if he had saved all mankind. We are guided by the timeless values and teachings of the Quran and the Prophetic tradition (Sunnah), which recognize that people with wealth have a duty to those who are less fortunate. “Canada Zakat” is a project of DawaNet Canada. DawaNet is a federally registered Canadian not- for-profit organization that is focused on community service, education and bridge building. With an army of dedicated professional volunteers, Canada Zakat ensures that almost 99% of funds raised, go directly to Zakat eligible applicants, with 1% going to overhead costs like advertising, web development maintenance etc. Our goal is to ensure excellence and efficiency,be ensuring all your Zakat money get’s to those who need it the most in our local community. Our Zakat Distribution Committee examines the Zakat applications using criteria and procedures reviewed and approved by local Islamic scholars. According to the Quran (9:60), there are 8 categories of people (asnaf) who qualify to receive Zakat funds. “IDRF(International Development and Relief Foundation)”is a Canadian registered charitable organization. IDRF provides effective humanitarian aid and sustainable development programs, without discrimination, based on the Islamic principles of human dignity, self-reliance, and social justice. IDRF seeks to provide the most vulnerable communities with the means to create lives of dignity, equality and sustainability, towards a more just world. Throughout the year and most particularly during the month of Ramadan, IDRF receives generous donations designated as Zakat. Zakat principally serves as the welfare contribution to poor and deprived people in need. It is obligatory upon the Muslim community not just to collect Zakat but distribute it according to the commandments of the Holy Qur’an. How do we use Zakat donations? IDRF is committed to utilize Zakat donations with efficiency, transparency, and accountability, while ensuring compliance with commandments. Funds are used throughout the year on projects which serve families in particularly urgent need. IDRF’s Zakat projects are numerous, and include work in water provision, food security, income generation, and emergency response around the world. You can read more about our extensive programming in these areas under What We Do. For more than 18 years, Mizan Muslims has been the trusted charity, informing, inspiring and connecting charities and donors. We have facilitated over $1 billion in giving. To provide an Islamic avenue solely dedicated to the collection and distribution of Zakat locally. Help relieve poverty and hunger within the local communities, here in the Greater Toronto Area, Ontario and across Canada. Work with other common cause registered Canadian charities to help maintain human dignity. 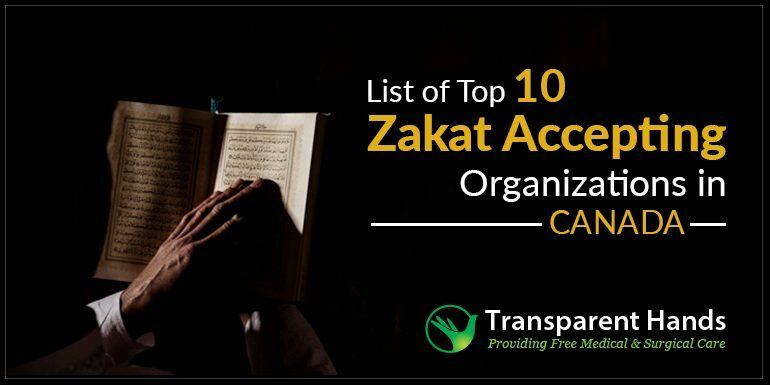 Establish and maintain a fully accountable, transparent and balanced approach to receiving and distributing charitable contributions that are strictly in keeping with the Islamic guidelines for the ordained charity zakat. Provide a service in keeping with the sole mandate to manage zakat effectively within Canada. Operate under applicable laws, rules and regulations while applying sound accounting practices and efficient operations. For more than 18 years, Canada Helps has been the trusted charity, informing, inspiring and connecting charities and donors, with the causes they care about. We have facilitated over $1 billion in giving. 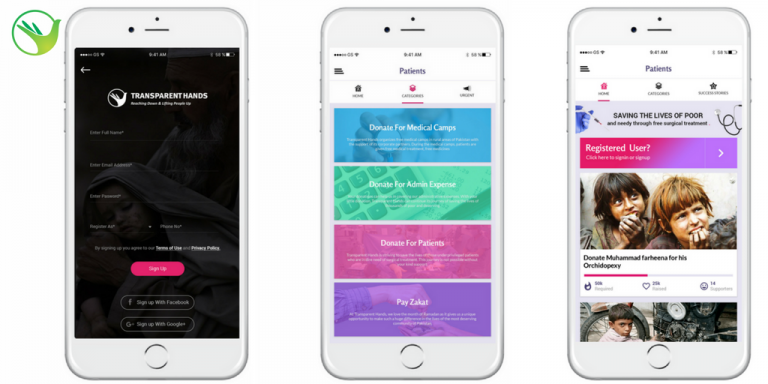 To inform, inspire, and connect donors and charities, and to democratize access to effective technology and education in the charitable sector. We envision a society in which all Canadians are committed to giving and participating in the charitable sector, and in which all charities, regardless of size, have the capacity to increase their impact. Canada Helps makes giving simple. We are a one-stop shop for charitable giving and fundraising and accepting for zakat. At Canada Helps, they believe every charity deserves the important advantages that online technologies and education can offer. As a charity serving charities, they play a critical role in the charitable sector. “Muslim Hands” was incorporated in Canada in October 2015. Muslim Hands is determined not just to provide immediate relief but to battle the root causes of poverty worldwide. We work beyond the immediate needs of communities, ensuring they have sufficient support for the long-term. At Muslim hands, we take our responsibility of delivering your zakat extremely seriously as we understand that your zakat is not a simple act of charity – it’s an act of worship. We have put in place a dedicated service to ensure your Zakat reaches the most in need, both promptly and securely. Our range of online resources will help you calculate your Zakat, which you can spend on any of our zakat eligible projects. These programs include water projects, feeding the hungry and providing education. Most of the work we carry out at Muslim Hands is Zakat eligible. As well as distributing food and water to those most in need, we carry out long-term projects across the four countries where we operate. This includes the provision of healthcare, access to education and livelihoods support for the most deprived communities in the world. We are Muslims passionate about ending global poverty and saving lives. We envision a world where Canadians mobilize their collective power to protect and improve, the lives of vulnerable people. Our values continue to guide our work and we take deep pride in our Islamic roots and identity. The values we hold dear are eternal and shared by all of humanity. Most people choose Ramadan as the month to pay their 2.5% zakat, this is due to the fact that Ramadan is the month full of blessings and rewards, each deed is multiplied numerous times over. “Human Concern International” has been implementing Zakat projects for the last 35 years in over 40 countries. Thousands of Muslims across Canada trust us to dispense their Zakat in the most accountable and transparent manner. We implement projects that are Zakat eligible and have the most impact on those in need. This includes, income assistance, emergency & disaster relief, food aid and refugee support. To establish an Islamic presence in Canada, that is balanced, constructive and integrated. “The Muslim Association of Canada (MAC)” is a not-for-profit organization. MAC works to strengthen communities through education, religious service and charitable giving since 1997. MAC’s model for change is based on developing community resiliency through creating healthy environments for sharing experiences, programs and activities. Zakat Al-Mal is current campaign of Muslim Association of Canada. Beyond fasting, Ramadan is synonymous with charity. Indeed, it is normally known as the month of charity. Zakat refers to purification in general and purification of wealth in particular. There is no better time to pay it than during Ramadan, and in the Muslim tradition, charitable acts are multiply rewarded during the holy month of Ramadan. This piece of Hadith clearly indicates that Allah will never get tired of giving us rewards for our good deeds, neither he would ever get tired of forgiving us for our bad deeds. Hence, every Muslim should be wise enough to devote himself in the worship of Allah and obey His commands obediently, when so many benefits are being showered upon us even for the little that we can do. Giving Zakat makes a Muslim virtuous and helps them to follow the path of honor and dignity. It helps in purification of your Halal wealth and leads to the cleansing of the soul. It helps in reducing poverty from society and strikes an economical balance in the country. Allah will only accept Zakat that is free and purified from showing off, cheap publicity and hypocrisy. If your behavior or attitude hurts the needy while you were distributing the Zakat amount it won’t be accepted by Allah. Islam has also encouraged all Muslims to give Zakat secretly, in such a way that your left hand do not know what you are giving through your right hand. Zakat given out silently is highly appreciated and greatly rewarded by the Almighty. Today our world needs more charity to reduce the suffering of poor man, woman and children due to poverty, lack of healthcare, illiteracy, war, political conflicts and natural disasters. We cannot let humanity suffer in isolation when we have the ability and strength to do so much for them. Let us give Zakat sincerely every year to uplift humanity and to relieve the pain of the needy population, while gaining the Almighty’s mercy and forgiveness.